A Labour government would look to treble the UK’s current solar capacity and create more than 400,000 green jobs by 2030. Those were the key facts from this week’s Labour Party conference which comprised speeches from some of the opposition party’s central figures. Yesterday the party’s shadow business, energy and industrial energy secretary Rebecca Long-Bailey said that Labour had been working with an “expert team” of energy professionals, engineers and academics to assess how the country could meet such a target. “It can be done. Offering a profound economic opportunity to revive our productivity and reshape our economy,” she said. While the speech was lacking in specific detail – Long-Bailey described it as “just a taster” given the time available – three figures integral to Labour's vision are a near trebling of solar power in the UK, a seven-fold increase in offshore and a doubling of onshore wind capacity. A near trebling of the UK’s solar capacity would equate to around 39GW of operational solar in the UK, enough, according to Long-Bailey, to power seven million homes. 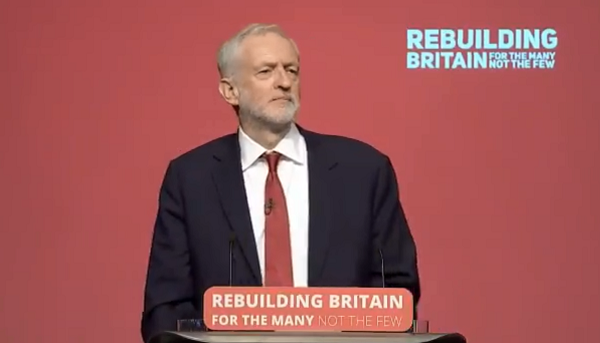 And today Labour leader Jeremy Corbyn, in his closing address, doubled down on the party’s green pledges, stating that the programme of investment necessary to achieve the 60% reduction in emissions from power and heat would create more than 400,000 green jobs. But more ambitious is Corbyn’s plan to reduce greenhouse gas emissions to zero by 2050, effectively turning the UK into a net zero economy. "I know that sounds ambitious. It is ambitious and will be delivered with the most far-reaching programme of investment and transformation in decades," he said. Labour will kick-start a 'Green Jobs Revolution' that will help tackle climate change, provide sustainable energy for the future and create skilled jobs in every nation and region of the UK. Corbyn’s pledges were met with considerable applause within the venue, and this has been echoed by large swathes of the energy market. Lawrence Slade, chief executive at trade body Energy UK, said his association supported the Labour leader’s focus on low carbon energy and green jobs. “The energy companies have taken huge strides forward and we are now global leaders in decarbonisation. Maintaining investment with a long term stable policy environment is critical to continue the drive to a low and ultimately zero carbon system. This will not only create jobs and benefit the economy but also deliver against environmental targets. However Leonie Greene, director of advocacy at the Solar Trade Association, stressed that expanding wind and solar capacity should be an economically-driven decision that crosses party political lines. “The government estimates that around £180 billion needs to be invested in the electricity sector alone to 2030, so enabling the lowest cost technologies which do not need public subsidy and which do not contribute to climate change - namely solar and onshore wind - would be very good news for consumers. “Renewables are also good for our economy as they are not subject to unpredictable global price fluctuations, something we are currently seeing with gas & petrol prices. The jobs created will be spread across all parts of the UK. “Building more solar and wind generation will now drive lower energy costs for consumers than any alternative future system. But we need the market framework to facilitate this future and stimulate investment,” she said.